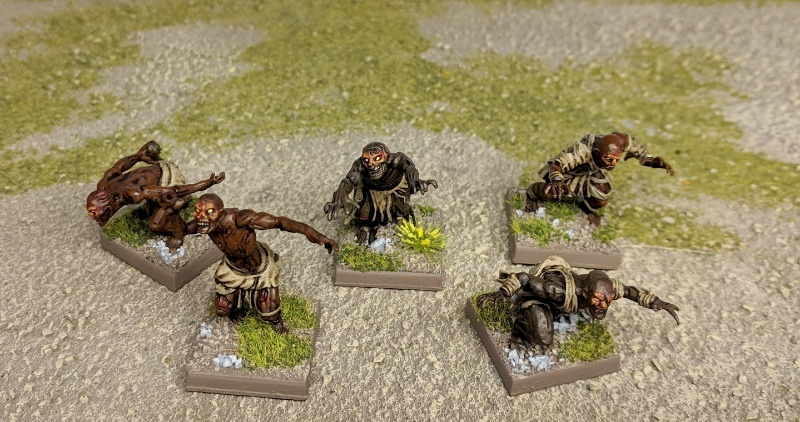 Painted a few more bog corpse zombies so I'd have enough to use as zombies for Shadow Deep. (I previously painted some as a test last year.) I think I've got everything I need now -- just need to actually play!